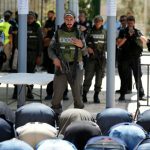 Israel will begin removing the illegitimate metal detectors it installed at the entrances of the Al Aqsa Mosque compound following protests around the world. 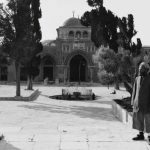 Palestinians have refused to enter the mosque compound through the metal detectors to avoid legitimizing Israel’s control over Al Aqsa mosque. Under international law, Israel has no authority over the site. However, demands by protesters to remove newly installed security cameras has not been fulfilled. May Allah grant us all the ability to pray at Al Aqsa Mosque.